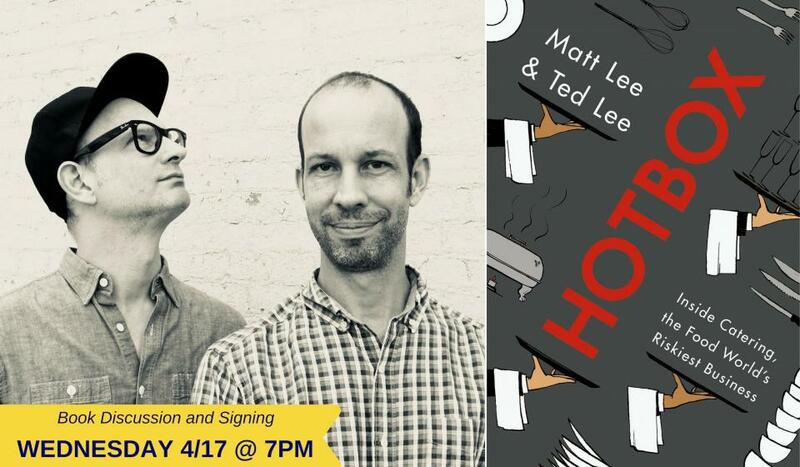 In HOTBOX, Matt Lee and Ted Lee take on the wild world of high-end catering, exposing the secrets of a competitive food business home cooks or restaurant chefs rarely experience. Known for their modern take on Southern cooking, The Lee Bros. steeped themselves in the catering business for four years, learning the culture from the inside out. HOTBOX, subtitled "Inside Catering, the Food World's Riskiest Business," is a revelation of the real-life drama behind cavernous event spaces and white tents, where cooking conditions have more in common with a MASH unit than a restaurant. Eccentric characters, working in extreme conditions, must produce magical events and instantly adapt when, for instance, the host’s toast runs a half-hour too long, a hail storm erupts, or a rolling rack of hundreds of desserts goes wheels-up. Whether dashing through black-tie fundraisers, celebrity-spotting at a Hamptons cookout, or following a silverware crew at 3:00 a.m. in a warehouse in New Jersey, the Lee brothers guide you on a romp from the inner circle—the elite team of chefs using little more than wits and Sterno to turn out lamb shanks for eight hundred—to the outer reaches of the industries that facilitate the most dazzling galas. You’ll never attend a party, or even entertain on your own, in quite the same way after HOTBOX.